It was really hard to part with my Acura Legend, but after 21 years of faithful service, it needed more mechanical work than I could afford, so I decided to donate it to charity. 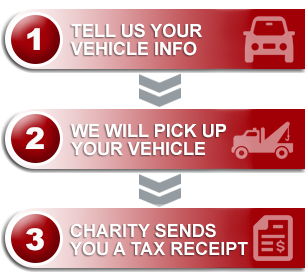 I went to the Donate a Car website and with a couple easy steps, I was able to choose the charity of my choice and arrange pickup of my vehicle. Donate a car contacted me right away and answered all my questions promptly. Within 24 hours, the towing agent contacted me as well and my car was off to auction by the weekend. Within a week and a half I received an email from Donate a Car indicating the net proceeds of my car that would go to my favorite charity. The process was so easy, I felt like Donate a Car took care of everything for me, and was also very sympathetic to the loss of my car. I feel so good about my decision and would do it again in a heartbeat. I highly recommend Donate a Car. The amount of money I would’ve received had I gone through the hassle of selling the car on my own, would not make a difference in my life. It will however, make a huge difference in the lives of the animal rescue I support. Thanks!